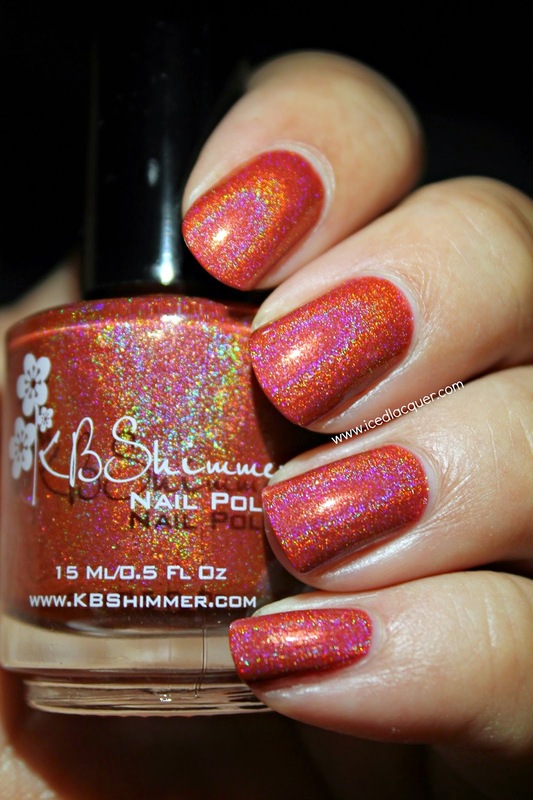 KBShimmer "Men Are From Mars-ala"
Hi readers! It's been a while since I've posted, so I hope some of you are still with me. Between going on vacation, getting horribly sick for three weeks, breaking a couple nails, Christmas, visiting with family, and New Year's Eve celebrations, it has been a busy month! Anyway, enough rambling! "Men Are From Mars-ala" - A red-brown holographic finish with a tiny bit of silver shimmer. My photos show three thin coats plus top coat, but I think you could easily do two thick coats. Coverage was great and the holographic effect is beautiful in the right lighting. 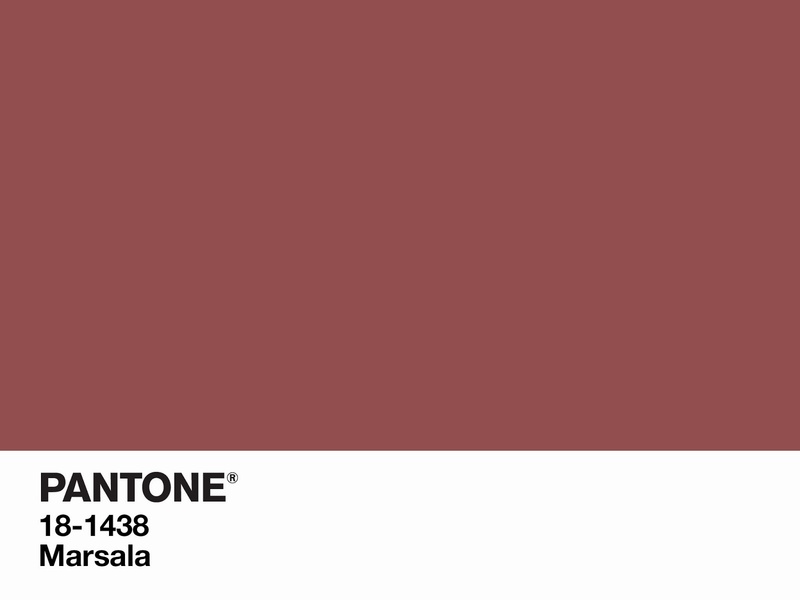 Just in case you haven't heard "Marsala" is the Pantone color of the year for 2015. Comparing it to this swatch square from Pantone below you can see it's pretty much perfect! I was a huge fan of "Radiant Orchid" and was sad to see it go, but this color is definitely interesting! In some lighting the red comes out and in others it leans more towards brown. It's rich and earthy. Normally I'm not a huge fan of red nails on myself, but this shade is easy to wear. It's so interesting because I can't decide if it feels vintage or modern! These last two photos show the holographic effect in LED lighting. Color name: "Men Are From Mars-ala"
My opinion: I'm not completely excited about "Marsala" colored EVERYTHING for this year, but I do love this polish. It's easy to apply, has plenty of holo, and is surprisingly flattering with my skin tone. Now I'm almost wishing Christy had made a "Radiant Orchid" holo as well because how amazing would that be!?!? I was not excited at all about the color when they announced it. I do love this take on it, but it's definitely my least favorite color of the year since the 2000's.